London-based Americana five piece No Coward Soul continue the to showcase their new debut album The Almanac, at this special show at the iconic Green Note in Camden. 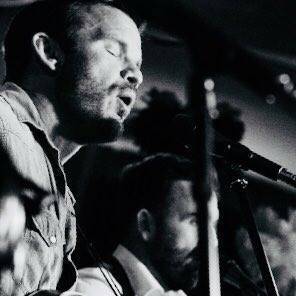 Originally from Alaska, singer Brad Schmauss is a London based artist who’s long time musical partnership with Martin Gray (Piano, guitars, vocals) culminated in the fantastic live band No Coward Soul. Gigging across the UK in recent years, the band has grown from a vocal harmony acoustic set up and now includes a sensational rhythm section featuring the Clement – Smith brothers and glock and mouth organ from Egg. The songs on The Almanac reflect the last 3 years of the band’s work together. The Alamac contains 13 tracks written by lead singer Brad Schmauss; inspired by both urban folk tales of the vibrant streets of South London and a childhood among the epic landscapes and beauty of the Alaskan woods.